Psychiatry is the medical specialty that focuses on the human brain and the brain, mind, body intertie. A psychiatrist is a licensed physician who has specialty training in the brain, mind, body intertie. Psychiatric physicians (psychiatrists) have completed a residency in psychiatry and are trained to diagnose and treat illnesses that cause psychosis or abnormal behavior. That illness may be a brain disorder commonly called a "mental illness," such as schizophrenia, or it may be one of hundreds of other illnesses, such as a thyroid malfunction, circulatory problem or cancer, that is causing the mental symptoms. Psychiatrists have an in-depth view of the whole patient and a deep knowledge of the relationship between physical and mental problems. Psychiatrists are the only mental health professionals licensed to prescribe medications in most states. What training does a psychiatrist receive? A psychiatrist has a college degree with a heavy biological science emphasis, a medical degree (M.D. or D.O), and 4 or more years of residency training emphasizing psychiatry and neurology. What are the most common mental illnesses and how are they treated? The most common mental illnesses are depression, bipolar disorder (manic depression), schizophrenia, panic disorder, obsessive-compulsive disorder, other anxiety disorders, and eating disorders such as anorexia or bulimia. They are usually treated with a combination of medication and psychotherapy. What is a psychotropic drug or medication? The phrase "psychotropic" describes a medication that primarily affects the brain. However, this distinction is somewhat artificial, since medications go through the entire body, and are often used for several different purposes. For example, bupropion is used to stop smoking (Zyban) and for depression (Wellbutrin). All medications have intended or desirable affects, and secondary, undesirable effects, usually called "side effects." Mental Health Evaluation, Evaluation for need for Guardianship and Competency of all types, Evaluation for Medications and Prescribing same, and Psychotherapy. Does my insurance cover mental health visits with Dr. Rajpura? Coverage for psychiatric services varies by health insurance plans. Some plans have a "carve-out" for mental health care, meaning services are covered by a separate organization that the patient must contact directly. You should call your insurance provider or check your benefits manual to confirm if mental health services are covered before calling our Intake Coordinators. Can the Intake Coordinators check my insurance benefits for me? Due to patient privacy regulations insurance companies may no longer disclose benefits information to third parties. As a result, our Intake Coordinators may or may not be able to call insurance companies to verify mental health coverage. It is your responsibility to verify your mental health benefits and coverage with your insurance plan. How long is the waiting period before I can see the doctor? We ALWAYS offer an appointment within one week of your request. Of course this depends on you providing us with necessary information about you insurance, benefit verification and payment agreements. Can I be evaluated for attention deficit disorder/attention deficit hyperactivity disorder (ADD/ADHD)? Yes. We do evaluations for ADD/ADHD with a thorough psychiatric interview and evaluation of symptoms. Please note that there is not a specific "test" for this diagnosis. Are weekend & evening appointments available? No. Our regular business hours are Monday through Friday, 7:00 A.M. to 4:00 P.M. Under special circumstances, earlier appointment may be available. What is your direct phone number? What if I get voicemail when I call? The direct phone number for our Intake Coordinators is 615-383-0055. Our Intake Coordinators take live calls Monday through Friday, 7:00 A.M. to 4:00 P.M. If you get voicemail, that means they are busy talking to other people. When leaving a message please spell your name, leave your phone number with area code, the name of the patient, the patient’s date of birth, the name of the patient’s insurance company and the mental health/substance abuse phone number from the patient’s insurance card. We call people back in the order the calls are received. Please do not leave multiple messages. Does Dr. Rajpura have an open practice? I am told I need neuropsychological/educational testing. Can this be done at your practice? We do not do any psychological, neurological or educational testing, but may refer you to a specialist in the community who does. Is there a detox/chemical dependency treatment program at your practice? No. We do not have a detox or chemical dependency treatment program, but refer patients to programs in the community. We do help patients identify the level of treatment they need and work with those in the recovery stage after they have stopped using the drug. We are Non Participating Provider for most insurance plans. What that means is that depending on your insurance plan and policy benefits, we will be glad to file for services provided. We will check your benefits under your insurance plan before we make appointment and hence you will know what is your likely responsibility. We are Participating Provider for Medicare. Do you accept TN Care coverage? No. We no longer maintain a contract with TN Care to provide psychiatry and behavioral health services. What is "Mental Health Parity" and what diagnoses does it cover? Parity for behavioral health benefits simply means that insurers will cover certain mental health diagnoses in the same way they cover physical medical diagnoses. "Parity-covered diagnoses" are subject to the same co-pay, out-of-pocket maximum and benefit maximum as medical coverage. Mental health parity is mandated by legislation that applies to a defined list of diagnoses. You are advised to check with your insurance company. Please contact our office for most recent fee schedule. What is the difference between types of behavioral health providers? Licensed Clinical Social Workers (LCSWs) and Licensed Marriage and Family Therapists (LMFTs) have a master's degree and at least two years of training to treat a wide variety of mental health problems. A Ph.D. or Psy.D. has a doctorate in psychology, treats a wide range of mental health problems and may do diagnostic testing. A psychiatrist (M.D.) 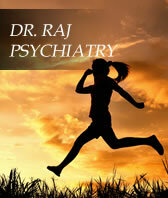 is a medical doctor who specializes in psychiatry and does medication evaluations, as well as psychotherapy.